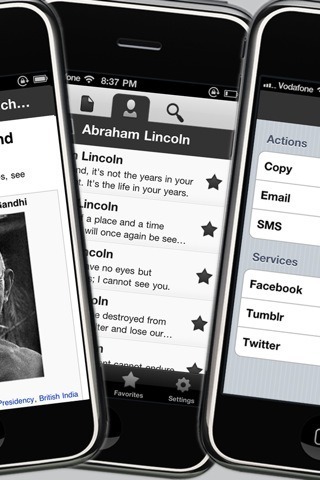 Quotes for Facebook: an attractive and user friendly quote app for Facebook junkies. It has 40 categories and 3000+ quotes for you to choose from. You can text and tweet quotes too. 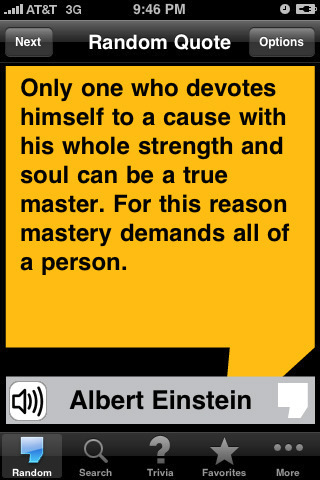 Quotationary: a comprehensive quote app for iPhone that has over 32,000 famous and inspirational quotes from thousands of different authors. It has a trivia game which is nice. 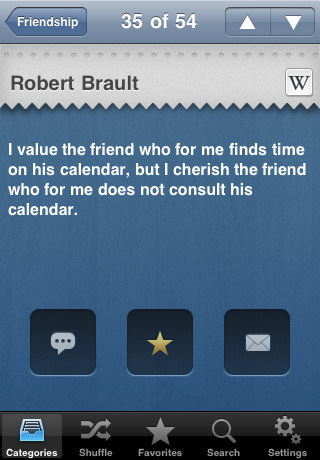 Quotes+ for iPhone: has a lot of quotes that you can share on Twitter, Facebook, and Tumblr. Offers random quotes feature. 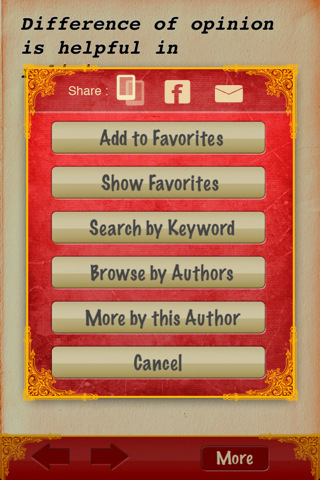 Search by author, category, or quote is supported too. 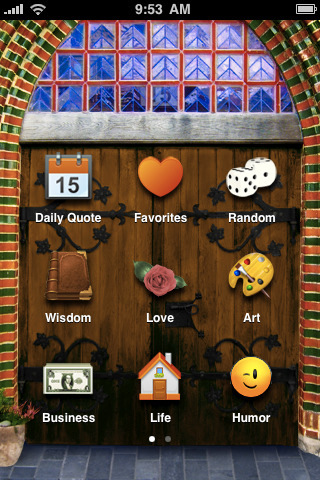 Quote Portal: if you are looking for a simple to use quote application for iPhone, this may be the right app for you. Lets you go through quotes by category. The daily and random quote features are fun too. 23,000 Great Quotes: the name is pretty self explanatory. It has many quotes you won’t find in other apps. Quotes can be shared via Facebook, Twitter, Email, or can be copied to clipboard. Which quote app are you using on your iPhone? Do you use quotes mostly on Twitter or Facebook?